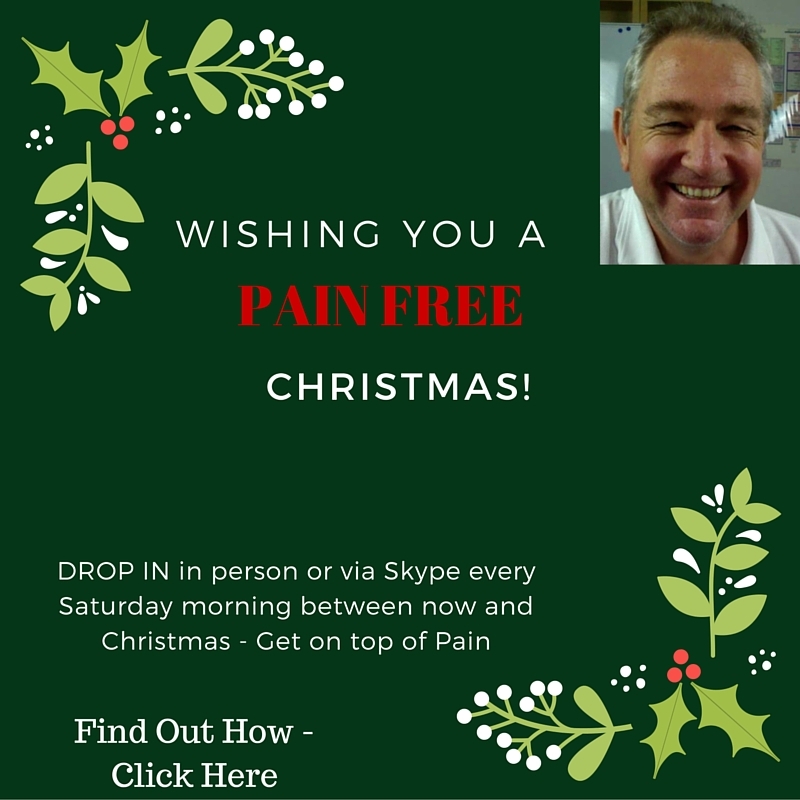 New Saturday Drop-In Pain clinic is operating from now till Christmas. The opportunity to achieve significant reduction in pain has never been easier, nor have the results been stronger than the new techniques I have been applying at the clinic and via distance techniques. Drop in Clinic times are 9 am to 1 pm West Australia time. If you live in a time zone when this is difficult then email and I will set up a one on one session at the same low entry price​.